My name is Kimberly Cross and I am a Kindergarten Teacher in Tacoma, Washington. When I am not enthusiastically educating the youth of my city, I am enthusiastically climbing in the mountains of my home state. I have been teaching for a decade and am entering my fourth year as a climber. 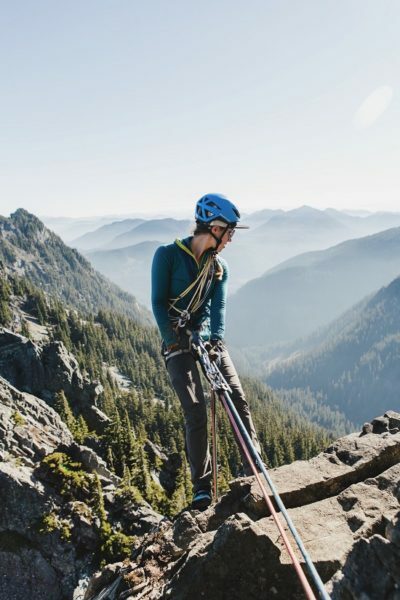 These are pretty normal careers and hobbies for a Washingtonian who loves the outdoors, however, to spice things up, I also happen to be born with one hand. My fingers did not grow on my right hand in utero and I was consequentially born one handed. Fast forward 32 years and I am currently a climb leader for The Mountaineers and a student in the organization’s Intermediate Alpine Course. 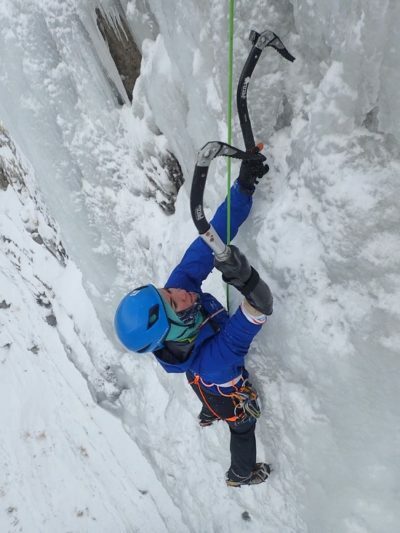 I have climbed many of the tallest peaks in Washington and Oregon, and now climb waterfall ice in places such as Utah and Colorado. Growing up I was heavily involved in sports and athletics. I loved fishing and the outdoors. If I wanted to do an activity, I did it. Maybe slight modifications in my approach to things were needed, but I never wanted to obtain prosthetics or adaptive equipment as aids and my parents supported me in that choice. 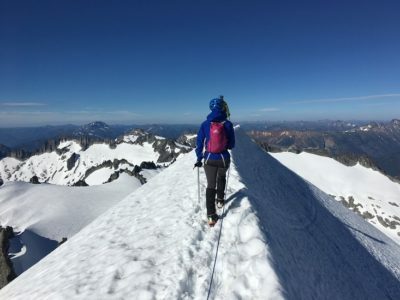 When I wanted to start climbing mountains like Rainier, I assumed I’d just get out and go up. 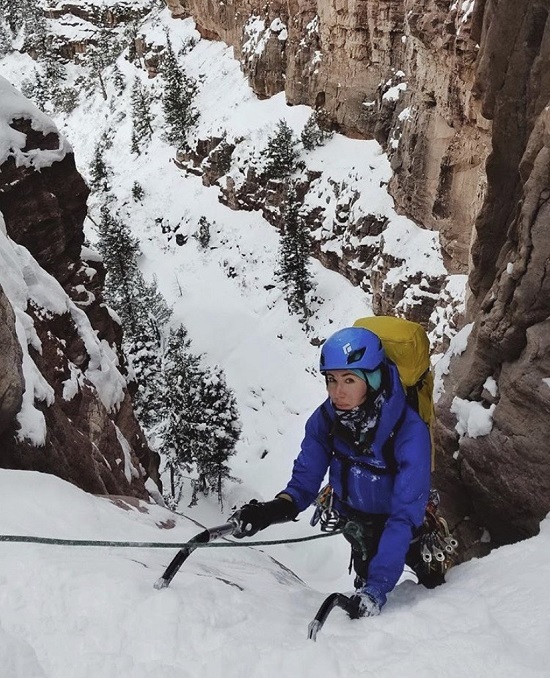 Joining The Mountaineers and their basic alpine course in 2016 was the first time I encountered a need for modified equipment and the reality that other climbers might be unsure of my ability to belay, rappel, or execute systems and skills safely. Thankfully, I was welcomed, held to the same standards in the course, and given incredible support as I made adaptations for myself in this sport. My climbing mentor helped build a modification strap to the top of my ice axe where I could securely use it in my right hand and travel on glaciers. A prosthetic doctor heard my story and offered to build a prosthetic arm for my ice tool to attach into so I could climb vertical ice. My kindergarten students call it my “mountain robot arm” and I’m okay with that. The modifications initially made me feel disabled for really the first time in my life. Yes, they enabled me to do these activities, but they made me look way different than my able-bodied climbing partners and that’s what I didn’t necessarily want to be known for. However, after every summit push, every suffer fest trip, every pitch climbed, I stood with my partners as equals. 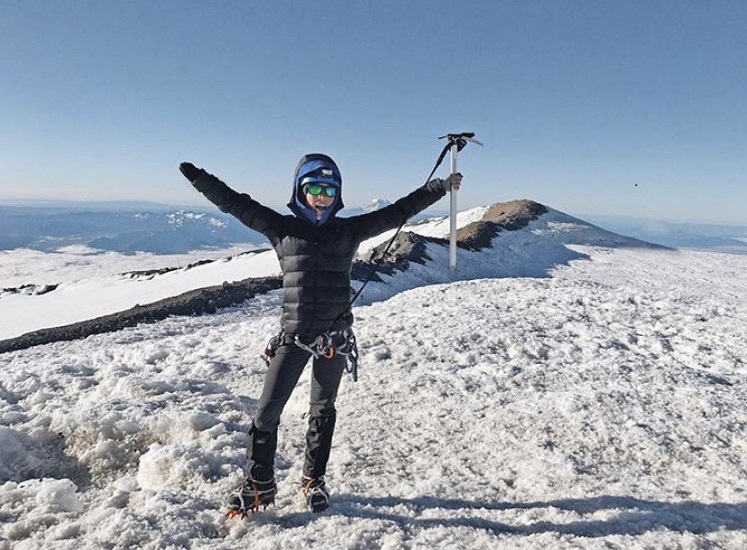 Standing on the summit of Rainier in July of 2016, my highest elevation climb to date, I felt this overwhelming peace and sense of accomplishment, not as an adaptive climber, but a climber. 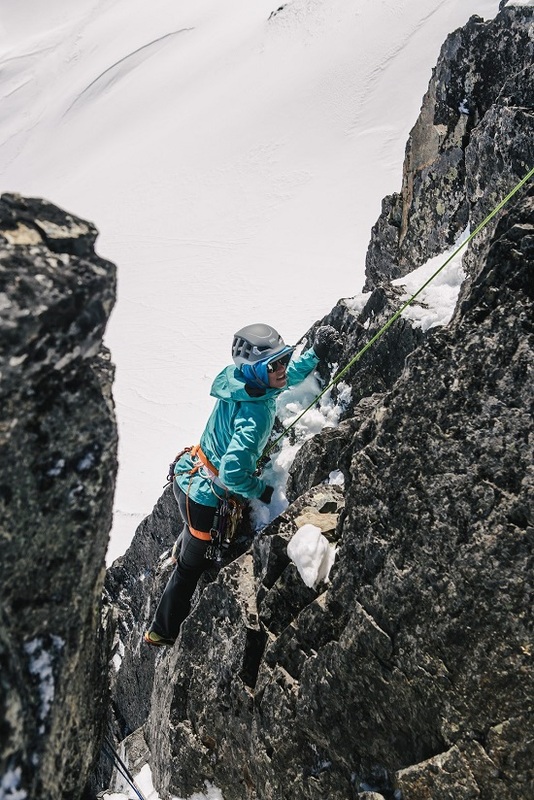 We all overcome challenges in the mountaineering world. Mine looks this way, while others may be internal. 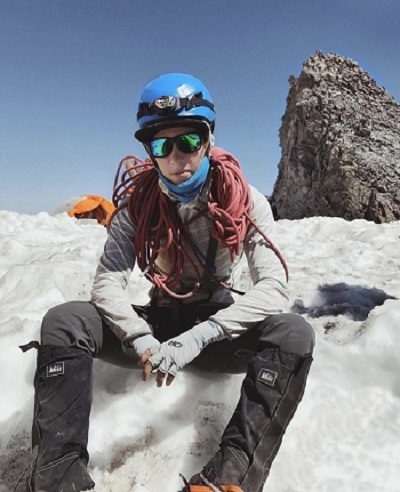 I began to accept the term adaptive climber and see the power in sharing my story, for other climbers and for future climbers. I have a classroom full of young students every year that get to hear my stories and see pictures of their teacher climbing and using adaptations. The stigma is erased for them, for me, and hopefully for a future peer they encounter with adaptive needs. In February, I went to my first Paradox Sports event in Ouray, Colorado, ice climbing with my prosthetic ice tool along side so many other climbers and their various prosthetic tools. 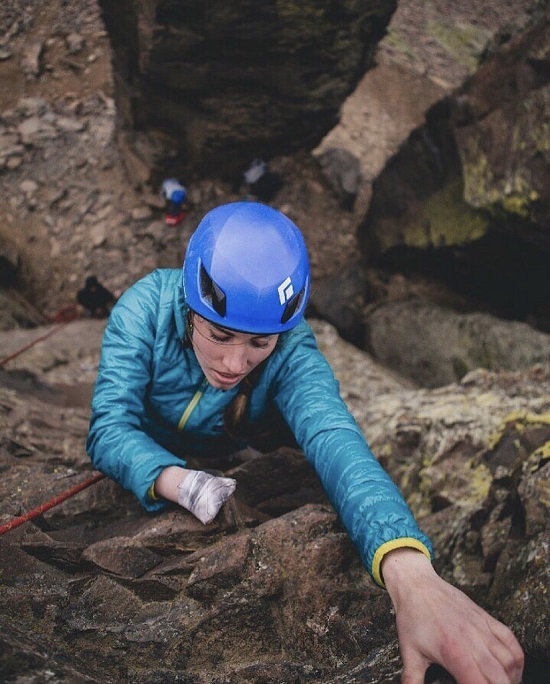 I felt I wasn’t alone in this adaptive climbing journey. I felt motivated to continue to push my limits and share with others that for me, and for them, there truly are no limits.